3D printing innovations: What happened in Formnext? Formnext is one of the biggest trade shows in the additive manufacturing world. Each year, new 3D printing innovations are unveiled, making the future of additive manufacturing more and more promising. Like previous years, this trade show took place in Frankfurt, Germany, from November 13th to November 16th 2018. This edition has been a big success, showing a growing interest into additive manufacturing technology with a 25% increase in visitors, and 632 exhibitors. New 3D printing innovations have been announced by many companies during this leading European trade show. What are the new innovations in 3D printing? How is the 3D printing market evolving? Some of these answers were in Formnext, follow the guide! Any new 3D printing technologies and 3D printers? EOS is already a leader in the industry, with the development of efficient and powerful 3D printers for the Selective Laser Sintering technology (or SLS). At Sculpteo, we are using these 3D machines to print your parts. You can upload your 3D files right now and make the most of the SLS technology thanks to our online 3D printing service. During the tradeshow, EOS announced the development of a new 3D technology: the LaserProFusion technology. What is this new 3D printing technology developed by EOS? The LaserProFusion actually relies on one million diode lasers which can reach up to 5 kW in order to 3D print plastic. What is the point of 3D printing with one million lasers, you might ask. This could actually become a real solution to print 10 times faster than with traditional existing systems. Their goal is actually to increase the use of 3D printers at an industrial scale. This new technology is not available yet, but it is expected for 2021! The Ceramaker 900 is a 3D machine printing ceramic at a larger scale, developed by 3D Ceram-Sinto. This multi-material printer allows to 3D print ceramic but also metal materials. This system also led to the creation of new 3D printing materials: silicon nitride (Si3N4), silicon oxide (SiO2), and Zirconia 8Y. The Ceramaker 900 has been developed by 3D Ceram and Sinto and can produce multi-material parts, with technical ceramic and conductive metal. 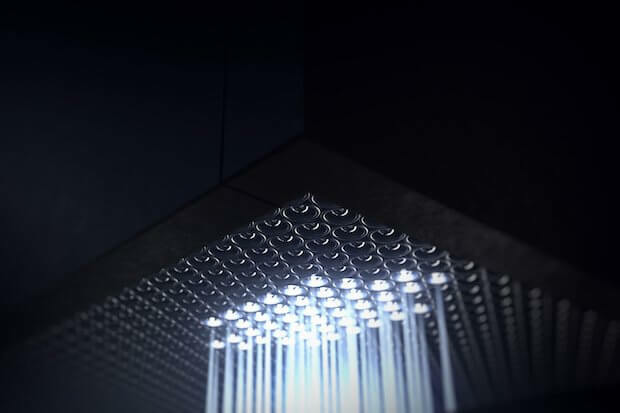 Sima, an Italian 3D printing company announced Digital Light Processing (DLP) printers. These two 3D printers are the EVERES ZERO and EVERES UNO. They are primarily targeting jewelry and dental markets. These two machines use the ZTT (for Zero Tilting Technology), a system that separates the part from the bottom of the vat between the layers without tilting the vat, like most SLA printers do. The SLS technology is still improving! 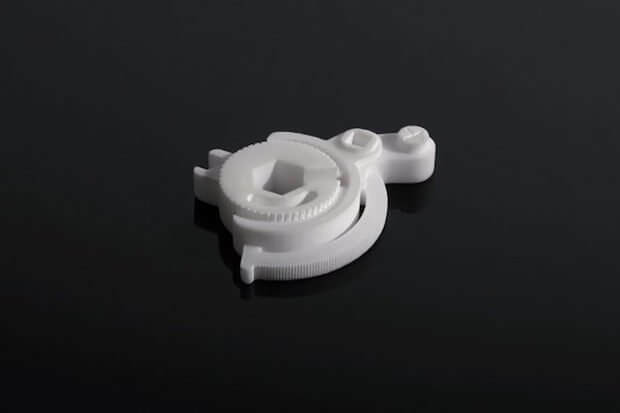 Selective Laser Sintering is one of the most used 3D printing technologies and 3D printer manufacturers are still improving their machines in order to help you make the most of additive manufacturing. Sintratec unveiled the Sintratec S2, a new system including great features outside of the printer, like de-powdering or some surface treatments. What about metal 3D printers? 2018 has been a great year for metal 3D printers! Indeed, metal 3D printing is still a big trend as we saw in this year’s State of 3D Printing. The goal of these new 3D machines is mainly to improve productivity. 3D Systems actually unveiled two printers: the DMP Flex 350 and DMP Factory 350. EOS also unveiled a metal 3D printer, the EOS M 300-4 metal AM system, specially dedicated to serial metal production. This 3D printer is announced to be ten times faster than previous systems! Desktop 3D printers are also seeing their performances improve thanks to the development of new filaments. Gimax developed the G3-XP, for reliable high-temperature material processing. PEEK and ULTEM materials are more and more used by these new 3D machines, like the new 3ntr printer: the Spectral 3D printers. 3D printing materials: What’s new? Ceramic has great potential in the additive manufacturing world. And, with metal 3D printing, ceramic is also a fascinating and really robust material. We saw in Fromnext that Tethon 3D, for example, made flexible and green parts while Lithoz showed amazing high quality parts in ceramic. On its side, XJet introduced its alumina, a brand new ceramic material, offering good electrical insulation and high mechanical strength. ACEO, Wacker’s 3D printing division, announced the development of an interesting silicone rubber material. Silicones are widely used across a range of industries, but still not really used in the additive manufacturing industry. ACEO created electrically conductive elastomers with high-temperature resistance of up to 200°C and unchanged conductivity levels up to 25% elongation. Many benefits could be offered by this technology. When we look at 3D printing software introduced during the tradeshow, we can see what is the main concern in the additive manufacturing world: the printability of the parts. The goal is to reduce all the possible 3D printing errors during the process, thanks to automation, systems are able to repair designs and predict technical errors. For example, Siemens announced an efficient system to ensure a good 3D printing process for parts printed with powder bed fusion technology. It is called Simcenter 3D Additive Manufacturing Build Process Simulation! This solution can simulate deformations and automatically compensate for the problem during the manufacturing process! Any other news in the 3D printing industry? Tradeshows are also an opportunity to discover new impressive 3D printing projects. Among them, we saw the 3D printed titanium wheel made using Arcam Electron Beam Melting, a project initiated by GE Additive and HRE Wheels. 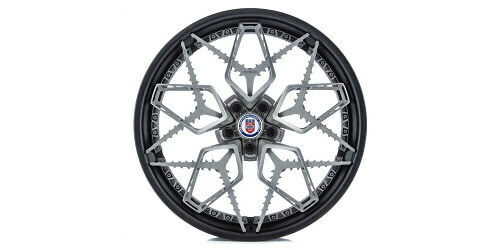 If we already know about some 3D printed tires projects, this one is actually the first titanium wheel ever 3D printed. BigRep, the German start-up, showed an amazing and impressive prototype: the 3D printed electric motorcycle. We can see that the future of 3D printing in the automotive industry is really promising. If we look closely at all of the announcements made during this new edition of Formnext, we can see some trends. 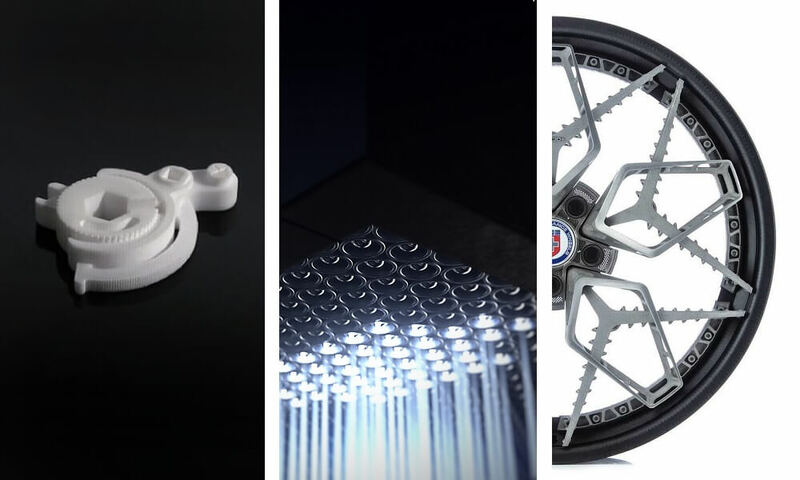 Obviously, XL and metal additive manufacturing are still really interesting, but we can see that new materials are becoming really promising, like conductive 3D printing materials and ceramic. 3D metal printing is more and more used, now 3D printers manufacturers are developing new solution for serial production of metal parts. Indeed, leaders in the additive manufacturing industry like EOS are improving the printing process for metal objects, trying to make it ten times faster! Production and rapid prototyping are made even easier thanks to the additive manufacturing technology, and leaders of the market are willing to get a faster solution than the traditional manufacturing processes. New sectors are also starting to make the most of the automotive industry. What will be the next big additive manufacturing projects developed for the new year? A 3D printed house? Indeed, there is also a growing interest for large 3D printing, and architecture could be the next big trend in the digital manufacturing world. Were you in Formnext this year? Share with us your discoveries, biggest surprises or your views about all of these 3D printing trends. Do you want to make the most of 3D printing and laser cutting? Upload your 3D file on our online 3D printing service and get your 3D objects in a few days. For more news about the additive manufacturing industry, don’t forget to subscribe to our newsletter!